Mission: The mission of the Augustine Institute is to serve the formation of Catholics for the New Evangelization. Through our academic and parish programs, we equip Catholics intellectually, spiritually, and pastorally to renew the Church and transform the world for Christ. JOB DESCRIPTION The Augustine Institute’s Graduate School of Theology seeks a part-time Admissions Counselor to contribute to the School’s work of recruiting, welcoming, and accompanying Catholics who desire to know their faith more deeply that they might share and teach it more effectively. The successful applicant will bring knowledge and love of the Church’s theological heritage and mission of evangelization together with a familiarity with and admiration for the Augustine Institute. Courtesy, humility, and attention to detail are the essential qualities of the Admissions Counselor, together with a readiness to anticipate the needs of prospective students and a keen enthusiasm to introduce them to the Graduate School. Responsibilities: Communication Efficiently respond to all Graduate School inquiries via email and telephone. Respond daily (Monday through Friday) and maintain database records of all contacts. Maintain regular data about prospective students and applicants, providing weekly reports to the Director of Admissions. Create, distribute, and track student billing and tuition and fees collection. Write thank-you notes to those who submit letters of recommendation for prospective students and maintain database of those contacts. Assist the Graduate School with the welcoming of visitors to the Institute during major Institute events, including but not limited to visit days, City of God Seminar, convocation, intensive courses, and the annual commencement exercises. Counseling Maintain ordered paper files on all applicants. Systematically support and communicate student progress from initial contact through completed application and acceptance; schedule telephone and Skype interviews as needed. Serve as steward for the work of the Admissions Committee, ensuring that completed applications are given timely consideration. Support applicants through the onboarding process, including course registration and financial advising. Serve as Financial Aid Counselor for all students (a role that primarily involves answering questions about scholarship applications and payment plan options). Specific duties are detailed below but may be supplemented by other duties assigned by the Director of Admissions. JOB QUALIFICATIONS Skills and Background: Communication Skills: Imperative. Organization Skills: Imperative. Mission Driven: Must demonstrate strong commitment to the mission of the Augustine Institute. Interpersonal Skills: Self-motivator with a positive attitude who enjoys helping people. Appreciates and leverages individual differences in perspective, style and skills. Productivity: Has ability to multi-task and prioritize. Works well under pressure to meet deadlines. Demonstrates initiative is proactive and accountable. Excellent administrative skills. Service Orientation: Welcoming, demonstrates a sense of urgency to meet others' needs, takes ownership/accountability of issues, demonstrates professional demeanor. Accuracy: Consistently delivers work of a high standard of quality, precision, and according to standards, procedures, rules, and regulations. Detail oriented. Adaptable: Ability to work in a dynamic environment and to adjust to new priorities as needed, and capable of achieving deadlines in all situations Location: Ability to work daily out of the Augustine Institute Greenwood Village office. COMPENSATION and BENEFITS Hourly rate range is based on experience. Relocation: THERE ARE NO RELOCATION REIMBURSEMENTS FOR THIS POSITION. ONLY APPLICANTS RESIDING WITHIN A REASONABLE COMMUTING DISTANCE TO DENVER, CO, WILL BE CONSIDERED FOR THIS POSITION. COMPANY HISTORY History: In 2005, as a response to the call of Pope St. John Paul II, Catholic scholars established in Denver a graduate school dedicated to transforming Catholic education for the New Evangelization. 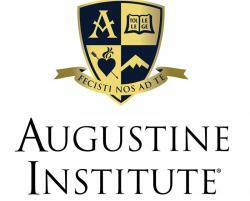 Since then, the Augustine Institute has become the fastest growing Catholic graduate school in the United States and has quickly expanded into a multi-faceted institute providing strategic, disciple-based parish programming and leadership formation to dioceses and parishes across America. In July 2015, the Augustine Institute and its partners launched FORMED, our digital, state-of-the-art, online platform (often referred to as a “Catholic Netflix”), which makes available the best Catholic content from a host of leading Catholic apostolates. Catholic pilgrimage travel sales representative. Outside Sales Representative We're looking for extremely motivated, hardworking, hungry sales people with positive attitudes that want to earn great money. It's truly as simple as that! As a sales rep with HailCo, you are only limited by your imagination; there are literally thousands of vehicles that require our services and there is a limited time-frame an individual can file a claim! The job is to help people needing paintless dent repair find HailCo in a PROFESSIONAL manner through direct sales, networking and creating referrals. This is salary-based role with an incredibly aggressive, uncapped commission structure . First-year reps typically earn between $60,000 - $80,000. Top producers will be eligible to receive additional bonuses including, trips, prizes and more. Details: - Sales experience is preferred but not required - We will train and hire the right individual - Paid every two weeks - Full benefits package available (Health, dental, vision, disability and life insurance) - Paid vacation - Company paid cell phone - Flexible schedule - Best reputation in the industry, look us up on Yelp, Facebook, Google+ and the BBB - Fast turnaround times and short sales cycles - The highest level of quality with a lifetime warranty so YOU get referral money Does this sound like you? If so, we want to talk. Call Mark @ 720-788-2827! Field Agent, Knights of Columbus Do well for yourself while doing good for others. Explore a career with one of the strongest, most highly rated insurance companies in North America. Why Knights of Columbus Insurance? As an agent with the Knights of Columbus, you'll have the opportunity to chart your own course while earning what you're worth. Once contracted, our goal is to make sure you hit the ground running. Our training program includes invaluable classroom and field experience, access to our online university, ongoing supervision and support, as well as reimbursement for professional development throughout your career. From the day you start, you will be given an exclusive group of members and their families who will turn to you for their financial needs. What you’ll do: Knights of Columbus agents work with fellow members and council officers to grow the organization and ensure every Knight has the financial protection they deserve. Primary responsibilities include assisting Catholic families in planning for their future by completing a financial assessment and customizing an insurance solution to suit their needs. Why become a Knights of Columbus Field Agent? Match your faith with your career goals Set your own work schedule and activities Work with exclusive market of Knights of Columbus families Earn professional level compensation Earn performance incentives and attend award trips 401(k) plan available Noncontributory pension plan Life, health and disability benefits Benefits Include: The flexibility of being able to plan your own work schedule and activities Unlimited earning potential and competitive commissions Performance incentives and award trips 401(k) plan available Noncontributory pension plan Life, health and disability benefits Desired Skills and Experience Strong communication and interpersonal skills Self-motivated, driven to succeed Effective time management skills Passion for helping others Bachelor’s degree or equivalent work experience preferred but not required Careers with Knights of Columbus Insurance require membership in our Order. Practical Catholic males, age 18 or older, are eligible to join. To apply for this position please send me your resume and a cover letter to Andrew.Wheaton@KofC.org . Thanks!